It’s time again for our Product of the Month! 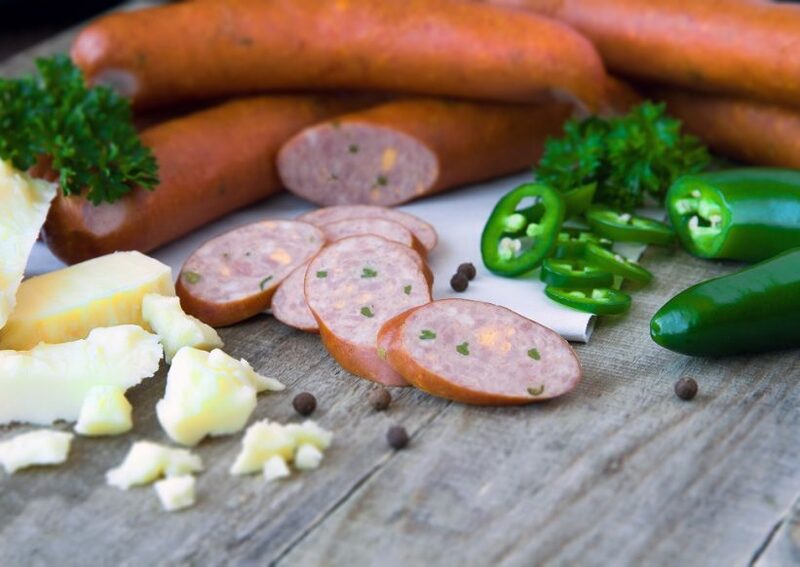 This month, we are proud to introduce a new product – our Jalapeno & Cheddar BBQ Sausage! We’ve combined the smooth, gooey flavor of our Cheddar BBQ Sausage and added a kick of spicy jalapeno peppers to put in some extra excitement! The blend of savory meat, spicy peppers and creamy cheese can be enjoyed with a pastry shell as pigs in a blanket, served on buns as an alternative to the usual barbecue sausage, or sliced and served with crackers on a charcuterie plate. Be warned, though – this product contains CHEESE, so be careful storing and serving it around any friends or family members who may be allergic to lactose or milk products.